Randy Rabinowitz serves as Executive Director of the Project. On Leave Effective March 11, 2019. Randy Rabinowitz works with unions, the plaintiff’s bar and government agencies to protect the interests of injured and ill workers. She is a nationally recognized expert on occupational safety and health law. 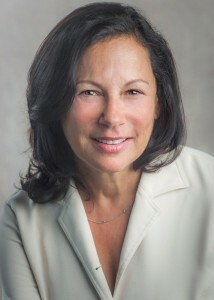 Previously, Ms. Rabinowitz served as appellate staff attorney at OSHA, Counsel to the U.S. House of Representatives Committee on Education & Labor, a consultant to federal and state OSHA programs, an adjunct professor of law teaching occupational safety and health law and as Director of Regulatory Policy at the Center for Effective Government. Ms. Rabinowitz is also an expert on workers’ compensation policy and toxic tort remedies, particularly those affecting victims of asbestos exposure. Ms. Rabinowitz has authored several law review articles on occupational safety and health issues and, for more than a decade, served as Editor-in-Chief of Occupational Safety & Health Law 2nd Edition (BNA). Ms. Rabinowitz has served as Union Co-Chair of the American Bar Association’s Committee on Occupational Safety & Health. Ms. Rabinowitz received her B.A. from The Johns Hopkins University and her J.D. and L.L.M. (Labor Law) from Georgetown University Law Center. Contact her at randy@oshlaw.org. Emily Tulli works with nonprofits, unions, and private attorneys to advocate for all workers’ ability to have safe, fair, and just employment. Ms. Tulli is a nationally recognized expert on the intersection of labor law and immigration law, including the employment verification program E-Verify. While at the national Immigration Law Center, Ms. Tulli analyzed federal legislative developments affecting immigrants in the workplace and advocated for expanding the rights of low-wage immigrant workers. This work included drafting legislative language, media appearances, and testifying before Congress. Before joining NILC, Ms. Tulli worked on a national campaign on behalf low-wage workers at Change to Win and prior to that she represented low-wage immigrant clients at Legal Services of New Jersey. Her caseload included a variety of wage and hours cases, including a class action. She participated in a significant amount of farm labor camp outreach and community education as well. Ms. Tulli received her juris doctor degree from The College of William and Mary. Emily Tulli serves as Senior Attorney of the Project. Contact her at emily@oshlaw.org.